Currently Listening: Never Come Around. | Pulp and Circumstance, Juiced. Currently Listening: Never Come Around. The latest side project from Vivian Girls’ Katy Goodman (“Kickball Katy”, for those of you who follow her bass work with the Brooklyn punk outfit) brings all of us dream-pop devotees something to chomp at the bit over. Working under the moniker La Sera, Goodman took inspiration from 1950s pop and choral vocals to create some ethereal tracks much softer, richer, and warmer than her work for Vivian Girls. But we love her edge, too. 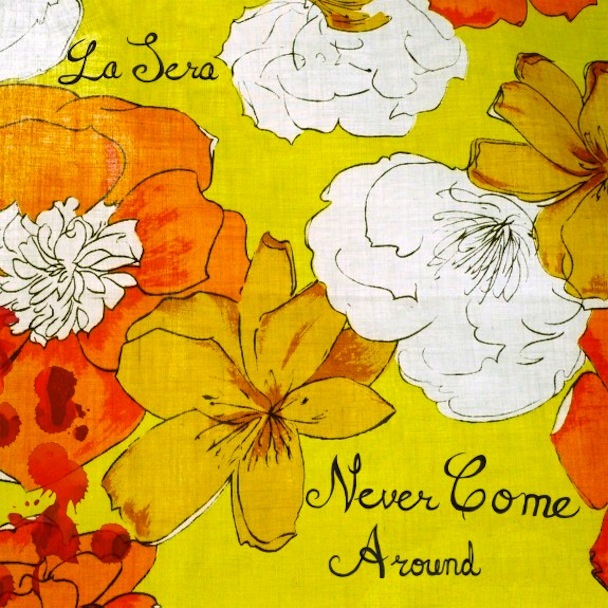 “Never Come Around” is her first single, to be released as a 7-incher on 11/16. She’ll follow it up with a debut record on Hardly Art, out sometime in early 2011. This entry was posted in Currently Listening, jwolf and tagged la sera. Bookmark the permalink. ← Delicious Drip: Didn’t Know What Love Was.